If I was to wear IEMs for say 4-6 hours at a time, would they become uncomfortable? I generally can be found listening to music at most times of the day, or at least with headphones on, so I would find that to be a major concern. And yet again, thanks for the lovely information. Looks sweet, thanks! :D Read a few reviews of that card, it seems like people like it and it's way under budget. yea, that's a nice card, HT claro at similar price point and quality, they have a version with built in amp to power higher impedance headsets, should check specs to make sure everything will work out well. It depends a lot on the fit of the IEMs and the person. Some would say yes, but some would say no. IMHO supraaural headphones are the worst by far. Both IEMs and circumaural headphones are fine by me, but only certain models of those. I don't know if you mean literally 4-6 hours straight, but even if they were comfortable for that long, I'd take them out every once in a while for break anyway. Some IEMs are more comfortable than others - but it's not uncommon to feel fatigue/soreness if you are new to IEMs. 4-6 hours a time might be a stretch at first, but your ears will eventually get used to having something stuck inside. With the right tips and a good fit, the better fitting IEMs should fairly disappear in your ears and you *should* be able to wear them for prolonged periods of time. Everyone's ears and fit is different though so YMMV. So, the general consensus is that IEMs would work better with a college grab'n'go life style? Much more portable, but with still great quality of sound? I also forgot to mention that lighter is better because I tore a muscle in my neck last year and heavy headphones will aggravate it severely :/. My apologies, I realize that's a big deal . IEMs have much superior sound isolation and portability. However, not everyone can wear them for a long time. Better fitting tips will help in this regard, but it's still up to the person whenever they can wear IEMs for 4-6 hours without feeling fatigued. Like many other things in audio, this is really up personal preference and perception. And again, like I said in my previous post, you just have to try these things out. Ugh, any suggestions on where/how to try these things out? I don't want to end up with a product that I find uncomfortable, but considering that I live in a small town in Southern Oregon, I'm not really sure how to go about trying anything at all that is any level above BAD. On another note, thank you both for the excellent feedback! Wow, haven't been here in a while. First up, funky I'm glad you like them I have a pair myself. The bass on those things is just mindblowingly addictive. Secondly, IEM's are hit or miss. Right now I'm using Atrio MG7's, i wear them for 12 hours a day and can't feel a thing. But that's because the foam tips are amazing. When it comes to your application, it sounds like IEM's are the way to go. Headphones are extremely obvious and relatively heavy, I prefer IEM's in college because it means I can hide in under my hair whilst listening to music in class. It's almost impossible to sample IEM's, since it's relatively unsanitary considering how far they get into your ear canal. my budget is around 80-100 USD ty! Ideally, you would know people who have mid-high tier IEMs, but yeah, it's hard to sample IEMs. If you do go this route, make sure you wipe down the tips beforehand. Or you can just choose and buy a set off Amazon or some other retailer with a good return policy. If you don't like the sound, just return. Comfort is really dependent on the tips. You really don't need to worry about comfort, just get different tips if the original are uncomfortable. In this sense, all IEMs can feel the same. In the universal IEM world, there are two types of tips, silicone or foam. Silicone tips tend to stay truer to the original sound, at the cost of a bit of isolation and comfort. Foam tips tend to alter the sound a bit, usually a bit more bass heavy, but most people find foam tips more comfortable and they also isolate better. However, foam tips degrade over time, anywhere from 1-3 months per pair, depending on type and usage. Customs are another option. $400 is enough to get into the custom market. Custom IEMs are molded specifically to your ear canal. If you want to explore custom IEM options, look on headfi. This thread is fantastic. Thank you so much, OP. Please keep updating it. Also quick question for the audiophiles out there. I have a set of Sennheiser HD650's that I really like. Did I get ripped off for the price range or are these a decent set of cans? Would pairing them with an amp and nice sound card increase the sound quality? I use them for listening and gaming. A friend recommended the Woo Audio WA3 however for that price I need to be damn sure it will be worth it. If anyone has input or advice on amps and the pairing of the HD650s with the WA3 I'd love to hear it. I currently use a SiberiaV2, and an ASRock Extreme3 Gen3 integrated sound card. I think it sounds allright for music and such, but I have huge problems with the microphone. It's always either too quiet or too loud with static, there is no in between whatsoever. I don't know if this is caused by my mobo sound card, or my headset. I don't know whether or not to get both a new headphones or a new seperate mic, a new sound card, or a new headset. My budget is $200 and I just really want no mic static and sounds good, and can pick up my voice well from about 3 feet if I get a table mic. I want to hear TL users' opinion on the Sennheiser HD598 with a FiiO E17 DAC/AMP. I'm actually more interested in knowing the bad about the setup more than the good since the hd598 receives too much praise from the head-fi community. Edit: I use HD555 + e7+e9 currently. 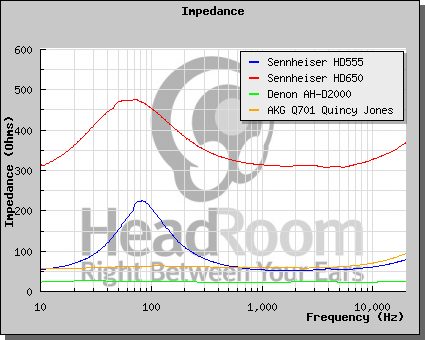 HD 580, 600, 650 are quite a legendary line. Even at current prices HD 650s are still well regarded. These are high-impedance headphones, so unless you feel like the volume is not sufficiently high, a more accurate amplifier is probably not going to make a significant difference. High impedance headphones are a lot easier to drive accurately for an amplifier, and they are less sensitive to amplifier output impedance issues. A lot of expensive audiophile amplifiers fall into the category of "less accurate" though, so if you want to reduce the fidelity in certain ways, you can pursue that if you want. I wouldn't expect big changes, unless you want to use the E17 EQ options, which are decidedly more flexible. By the way, for HD 555, using the E7 by itself is better than running it through the E9, though trying both isn't going to hurt. E7 performance with that kind of load is similar to E9; with HD 555, you won't need the extra power the E9 has, so that's mostly just increasing the noise a bit. More importantly, E9 also has about 10 ohms output impedance on the 1/4" jack and 43 ohms output impedance on the 1/8" jack. E7 has close to 0.
that means the higher the source output impedance, the larger of a hump in the effective frequency response (not impedance) you will see around that 80 Hz peak, from running with that source. It's essentially an unintentional hardware EQ, though it has other effects as well. Well then, IEMs it will probably be. More research on Head-fi and constantly thinking about it and I might make a decision some day! 650s are good. They're considered one of the better options in that price range. Ideally you want a DAC + amp, but that would be pretty pricey. HD650s would benefit pretty heavily from just a good amp. I have no personal experience with the WA3, but HD650+WA3 is supposed to be a good combo. The more important question is whenever you need to spend that $500 on an amp. Dumping that much money into an amp is a pretty huge investment. IMO, getting a WA3 is a bit of a waste if you stick to 650s. If you intend to upgrade to higher end headphones sometime in the future and pick up a DAC somewhere along the line, it might be a good investment to get the WA3 now. As someone who's worked as both a professional singer/voice actor, and as a studio tech, I love my HD280s. Cheap ($100), durable, comfortable. My oldest pair has probably seen 13k hours of action and I've had to wear a pair for about 16 hours straight. All in all, a fantastic headphone. I have 6 pair in my studio. Serious audio mixing happens using nearfield monitors, not headphones. You do have to have a room properly set up to do that though. I have yet to walk into a recording studio in LA that does not either use these or Sony MDR-7506 or AKG K-240 as their standard. TLDR: 100 Bucks, Sennheiser HD280. Studio Standard. Worth Every Penny.